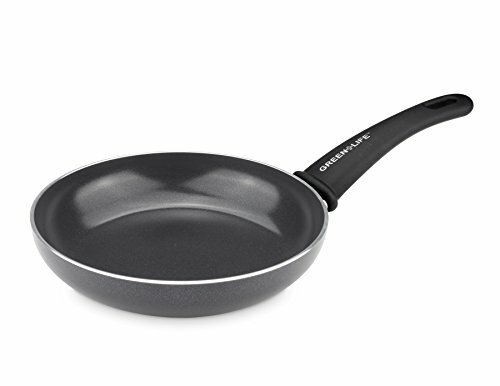 The GreenLife Soft Grip Diamond Reinforced 8" Ceramic Non-Stick Open Frypan makes the perfect addition to any kitchen. 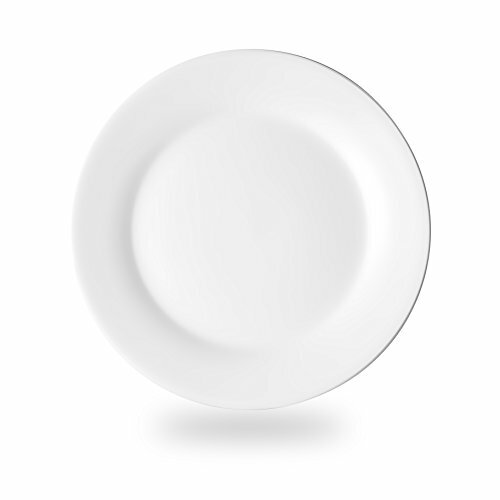 The high performance Thermolon Diamond Reinforced ceramic non-stick coating is long lasting and easy to clean, made without PFAS, PFOA, lead or cadmium. The black aluminum reinforced body adds a touch of style to your kitchen, while the matching soft-grip handles provide much-needed comfort. The dishwasher-safe construction makes cleanup a breeze. 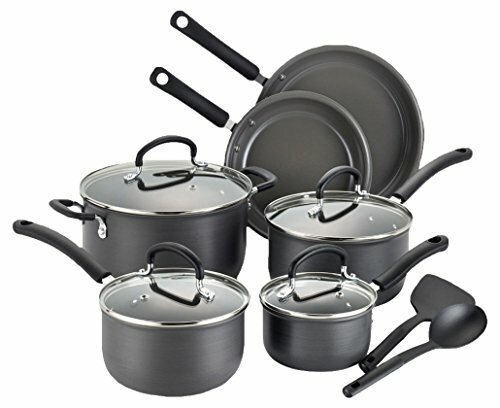 The Precision Ceramic Hard Anodized Cookware Set from T-Fal is a beautiful addition to any kitchen. 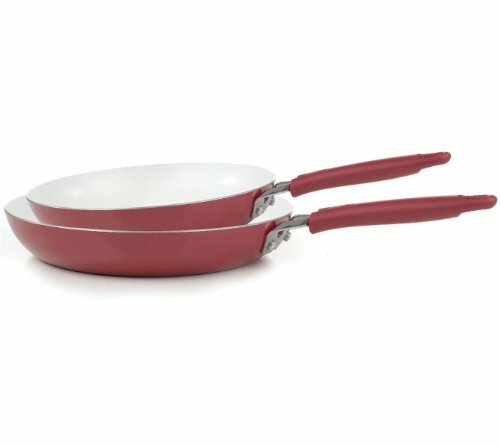 It combines extremely durable hard anodized technology with the stain and scratch-resistant ceramic non-stick surface. 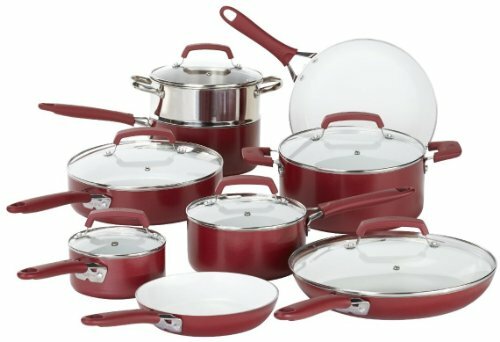 The ceramic cooking surface is PTFE and PFOA-free and withstands cooking temperatures of up to 570°F, great for searing and braising. The riveted silicone handles are comfortable and durable enough for everyday use. 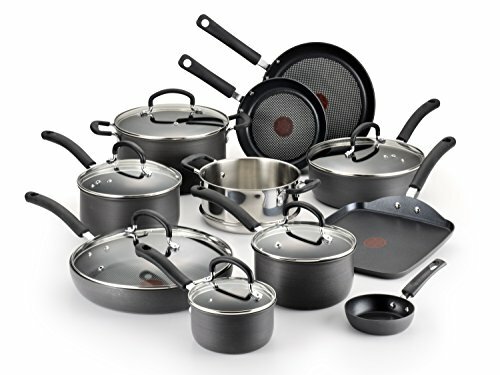 WearEver Pure Living Nonstick Scratch Resistant Ceramic Coating PTFE-Free, PFOA-Free, Cadmium-Free Cookware is durable, recyclable, and high temperature resistant (up to 750˚ F vs 500˚ F of traditional nonstick cookware sets). 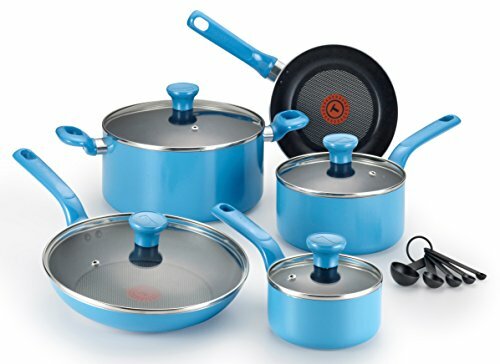 WearEver Pure Living Nonstick Ceramic Cookware Set has high quality aluminum base that guarantees high heat retention. 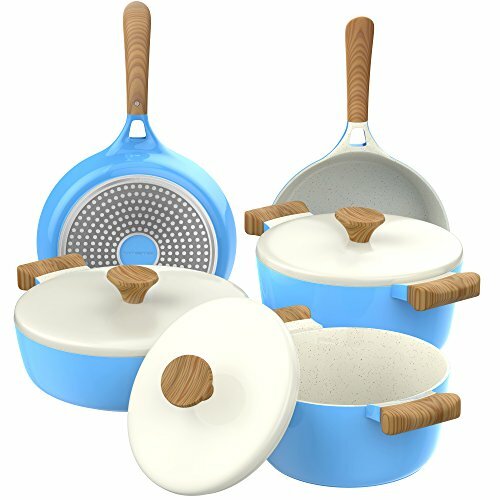 WearEver Pure Living Nonstick Ceramic Cookware Set is excellent for searing meats, poultry and fish, and it delivers crisper, more evenly cooked food. 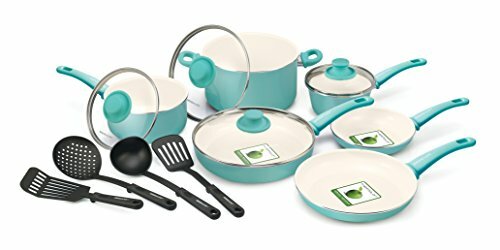 WearEver Pure Living Nonstick Ceramic Cookware Set has nonstick exterior and silicone riveted handles, carries a lifetime warranty against defects, excluding dishwasher damage.